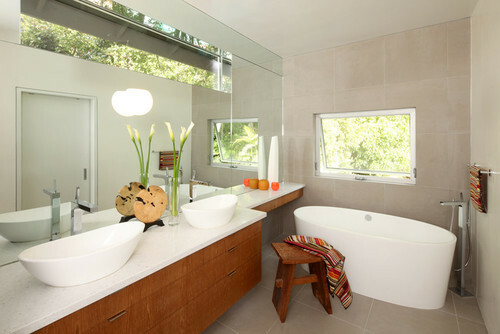 AV from Long Distance Loving just asked her readers if they'd pick a freestanding tub or a built-in tub. Well, I'm here to share my thoughts. 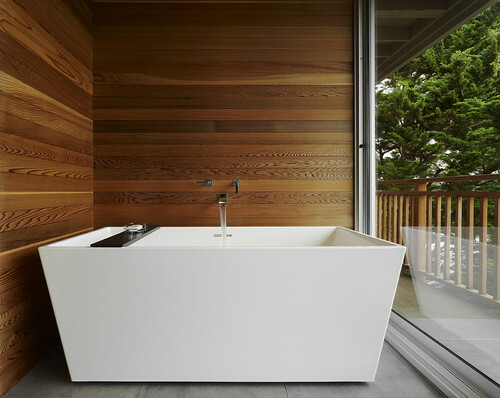 I, with no doubts, would go for a freestanding tub. If you're not looking for a whirlpool system then you might as well get a tub that makes a statement...I mean it takes up enough room, it might as well look damn good while doing so. AV tends to lean to a more tradition side while I prefer the more modern, clean line look. But look at these tubs below. What's not to love? I will gladly take a Wetstyle or Victoria and Albert tub any day. So that's my opinion. Now what are your thoughts? And you get to use a sweet freestanding or wall mount tub fill to go with your freestanding tub...double bonus. But if you choice to go with a built in tub, please go with an undermount tub with a slab deck....ahh.